Sherpa Cultural Center – UNITED SHERPA ASSOCIATION (USA), INC.
Sherpa language and culture is deeply rooted in its religion and livelihood. The Sherpa Kyidug has been playing significant role in preservation and promotion of the vast cultural heritage by providing a common platform for the community. 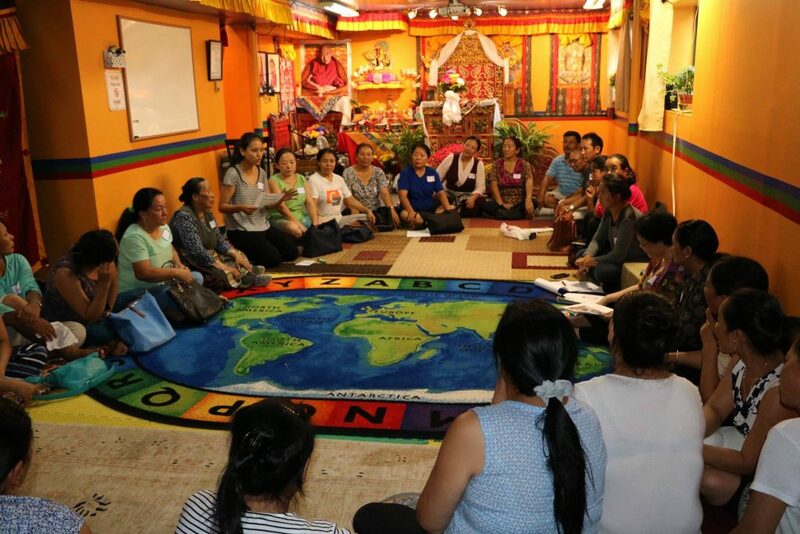 With the growing number of Sherpa community in United States of America, particularly in the east coast, Sherwi Rishyung Lapta (Sherpa Culture Center) was conceptualized in November 2009 in New York with an aim of dispelling the ignorance in the community. The Sherpa community is fortunate to have Lopen Gyurme Chodak, the former professor at Namdroling Buddhist University in India, as the main Guru at the Lapta. Tulku Urgen Rinpochhe and other scholars have been giving teachings on various aspects of Buddha’s teachings during various occasions at the Lapta. Time and again, many other Rinpoches have given important teachings to the community. A team of dedicated volunteers under the coordination of executive committee member Mrs. Rinji Sherpa has been organizing the classes and related events at the center. Various types of religious and cultural teachings and classes are held at the center. The association has rented a separate facility for the Lapta close to its’ main community center located at 41-01 75th ST, Elmhurst, NY-11373. Classes are conducted on every weekend at the Lapta located at 41-58 73rd ST, Woodside NY-11377. More than 70 students have been attending class on every Sunday and about 50 students on Saturday. Many of the students are now qualified to perform high level tantrik practices. They are recognized their completion of courses empowered by initiation, reading transmission and explanation from qualified teachers of the lineage. Therefore, Sherwi Rigshyung Lapta has been playing significant role in producing qualified individuals who can give proper guidance to the community. The Lapta has been producing necessary textbooks and audio-visual materials for the class on its own. The school has published 12 various booklets, and different CDs and DVDs so far.